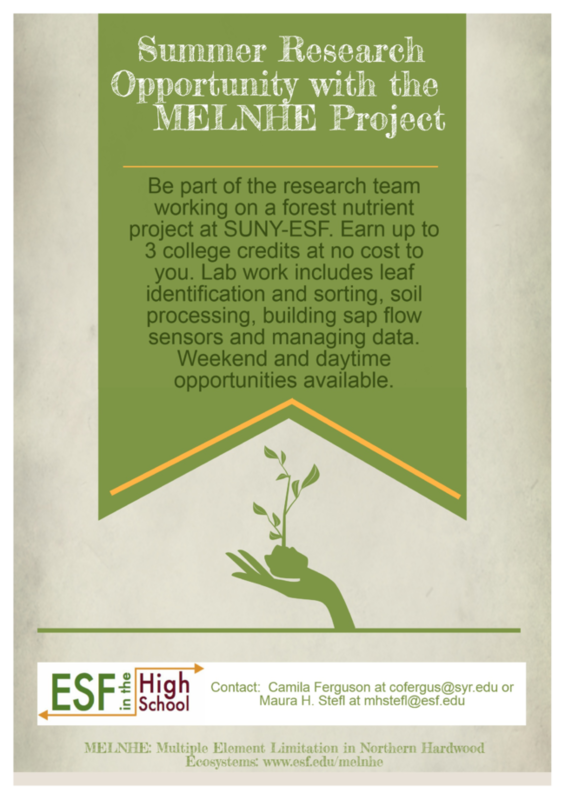 This in from the TACNY email list concerning summer research opportunities with the MELNHE (Multiple Element Limitation in Northern Hardwood Ecosystems) Project, which you can read more about at their website: www.esf.edu/melnhe/. As a university academic, I highly recommended getting motivated students (of any age) engaged in any and all such activities (their brains and CVs will thank them)! For more information about TACNY, visit www.tacny.org and their Facebook page.